OAKLAND, Calif. -- Oakland Mayor Libby Schaaf, who was elected in 2014, announced Monday that she will seek re-election in 2018, citing President Donald Trump as a major factor in her decision. 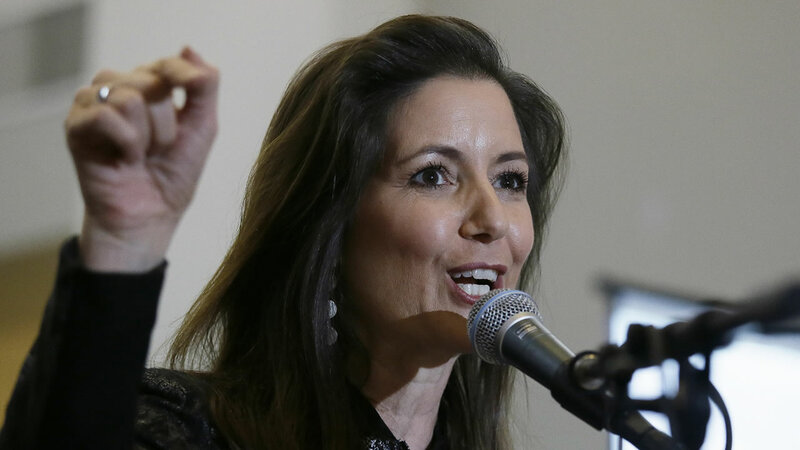 In a statement aimed at Oakland voters, Schaaf said, "With Donald Trump in the White House, it is more important than ever that we double down on the things we believe in." "As your mayor, that means making sure that government serves the needs of all people equitably, and that we continue to protect our residents and lift up diversity in all its forms," she said. Schaaf said, "While we continue to fight for our values it must be our business to make our city work. That means filling potholes, reducing crime, educating our youth and improving the delivery of basic services." Schaaf said that if she's re-elected, her priorities will include keeping her so-called "Oakland Promise," which aims to get more students in the city's public schools to graduate and go on to college and good careers, as well as improving transportation and infrastructure, fighting displacement and housing the city's most vulnerable people, and having a responsive and trustworthy government. Click here for more stories about Mayor Libby Schaaf.